On 30 June, 23-year-old Mustafa Dawood, who was from the Darfur region of Sudan, was found dead after falling from a building in Newport, Wales as immigration officers carried out a raid at a car wash.
‘A 23 year old Sudanese man fell from a height and died after being taken to hospital. Immigration Enforcement staff attended the Shaftesbury car wash on Albany Street, Newport at around 10 am on Saturday as part of an operation. It is understood, following the arrival of the officers, a man working there climbed onto an adjacent factory roof. A short while later he was found on the floor of an annex building next to the factory with critical injuries. One witness noted that the raid, carried out by immigration officers acting on ‘intelligence’, ‘was a bit like a Carry-On film’ and that Mustafa Dawood’s death was ‘needless’. The Guardian reported that despite his falling from a height, there are few signs of visible injury on Mustafa Dawood’s body. His family, who have now travelled to the UK, are calling for a full post mortem. He had arrived in the UK in July 2015 and had claimed asylum, but this was refused in April 2018. 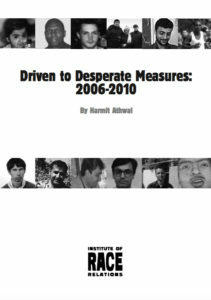 As a result financial support was withdrawn, and it appears that Mustafa Dawood began working, although asylum laws did not permit him to work. The immigration officers involved in the death have neither been placed on restricted duties nor suspended. Mustafa Dawood’s death is not the first in such circumstances; at least four others have died in similar circumstances. Frank Odame (2008), a 36-year-old from Ghana, died after falling from a block of flats in Woodford Green as immigration and police officers called at 7am. Joseph Crentsil (2001), a 36-year-old from Ghana, died after falling from a third floor window of a flat in Streatham as two immigration and two police officers questioned five other men at the flat. Noorjahan Begum (1996), a 35-year-old Bangladeshi woman, died after falling 30 feet from the balcony of the flat where she was living; two immigration officials were calling at the flat at the time. Joseph Nnalue (1994), a 31-year-old Nigerian, died after falling from a balcony in a flat in Stockwell as police and immigration officials, acting on a tip-off, called at his flat. And two others, Joy Gardner and Jimmy Mubenga, have died as a result of being restrained during their deportation. 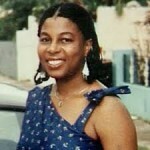 Joy Gardner (1993), a 40-year-old Jamaican mother, died after being arrested by ‘specialist’ officers from the Extradition Unit of the Met who used 13 feet of tape to gag her. 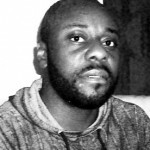 Jimmy Mubenga (2010), a 46-year-old Angolan man, died after being restrained by three G4S guards on board a BA plane at Heathrow. An inquest jury ruled that he had been unlawfully killed by the guards ‘using unreasonable force and acting in an unlawful manner’ when they restrained him for between 30-40 minutes. The three guards were later acquitted of manslaughter. And finally, in a poignant note, Mustafa Dawood’s death comes as the family of Joy Gardner plan a commemorative event to mark the twenty-five years since her death with a showing of the Migrant Media film, Justice Denied.